Every person has an amazing story and unfortunately we don’t always learn how special until we go to his/her funeral. I would like to share with you the commentary that was read at the recent funeral of Steve’s aunt, Sister Catherine Ruskamp. We live on the farm our dear Sr. Catherine grew up on and lived in the same house she grew up in until our youngest was three. 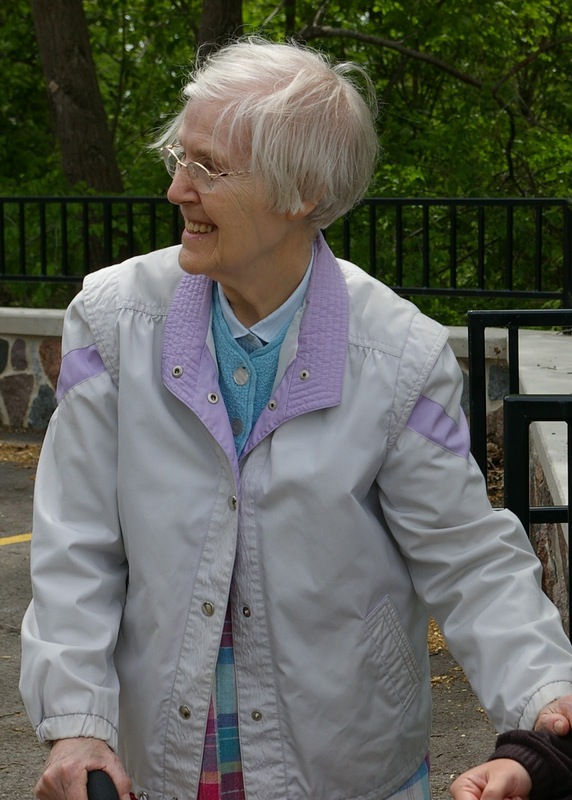 She shared many stories with us about growing up here on her annual summer visits. I hope you enjoy this peek into her life. That seemed prophetic, so Anna married, and after having four boys, she prayed for a girl – and Catherine was the first. Her Mom dedicated her and those that followed to the Blessed Mother and prayed that they’d be given a religious vocation if that was God’s will. The girls did not know that until much later. When Catherine was six months old, her one year old brother, Joseph, had serious blood poisoning in his leg; the doctor wanted to amputate. Again, Mom prayed and offered him to God as a missionary if he’d be cured. Little Joseph recovered and became a Capuchin missionary in Nicaragua for 51 years. Both parents had a deep life of faith and trust in God, and the children were caught up in it. challenged, but very affectionate and dearly loved. When unattended he’d wander off to play or sleep in unlikely places: the sow’s pen, the tall cornfields, the back of the pick-up truck, the machine shed. The whole family would conduct a “search party”. It was a sad day when, at the age of 22, he was the first of the family to die. At the end of their school year in 1933 Catherine and Joseph approached their mother together and told her they wanted to enter religious life. They asked that “Ma tell Pa”. Though Mom remembered her earlier prayer, it was a big sacrifice for both parents to make, especially when, in the space of four years, five children left home after eighth grade to prepare for religious life. reception in 1936, by then known as Sr. Alvina, she told Mother Corona she wanted to be a teacher. She completed her Bachelor’s degree at Alverno College, and later went on to receive a Master’s in Education at Fordham U. in N.Y. Her first teaching assignment was in the rural town of Pesotum, IL from which she says she “held vivid memories for a long time”. Next she was sent east to Staten Island, NY, then back to the midwest to St. Alphonsus in Milwaukee, and finally west to Ralston, Nebraska, Denver, Colorado, and Earling, Iowa. Sometimes she was principal too. As the times and needs changed she asked to try other ministries. So she went to Detroit to do Parish Social Work for a year. Afterwards she taught and coordinated Religious Ed programs for seven years at the mainly Hispanic school of St. Therese in Aurora, IL. That was followed by a return to Colorado Springs and Omaha. Catherine’s desire to work in Latin America was fulfilled in the 70’s when she was invited to participate in the Latin American Mission Program (LAMP). 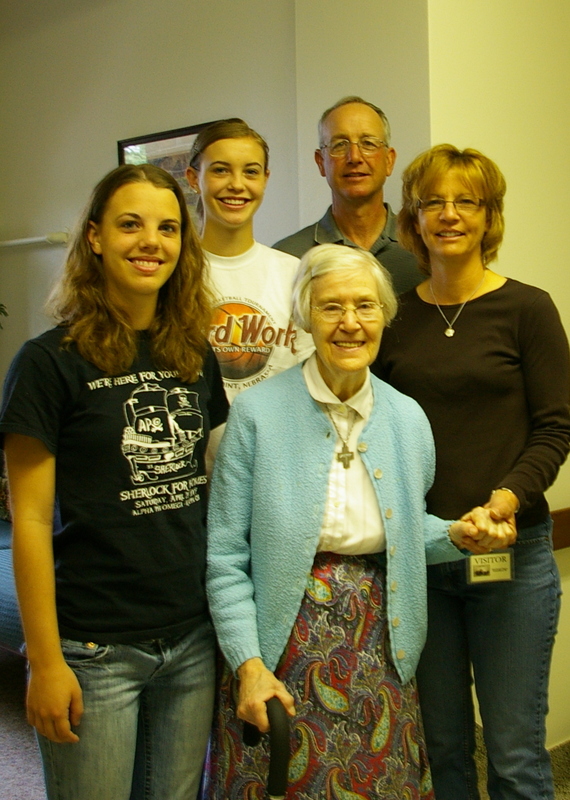 For five summers she and a sister companion accompanied students from Boylan H.S. in Rockford, IL to Mexico. There they catechized children for the sacraments in the poor villages. From 1989 to 1991 Catherine stayed in Guatemala doing missionary work. Upon returning to the States, she taught Spanish language classes in the LaFarge Lifelong Learning program.